The Korean Peninsula, a divided nation, has long been a powder keg. North Korea is threatening not just Korea and the US but the entire world with its nuclear missiles. The world’s leaders have voiced their concern for the security of the Korean Peninsula and called for a peaceful solution. The UK Foreign Secretary Boris Johnson warned against military action as “the distance between North Korea and Seoul is very, very small and they could basically vaporise large parts of the South Korean population even with conventional weapons” (Telegraph, 3 Sep 2017). Past South Korean administrations have addressed the North Korean nuclear issue with temporary measures, and the international community has imposed economic sanctions as part of efforts to contain the threats posed by North Korea. However, we believe a fundamental solution is needed to bring the threat of war to an end, to protect not just Korea but the Earth, the most beautiful and flourishing planet in the universe. As a solution to the North Korean nuclear issue, we propose the 10 articles, 38 clauses of the Declaration of Peace and Cessation of War, proclaimed by HWPL. Heavenly Culture, World Peace, Restoration of Light (HWPL; holds consultative status with ECOSOC; Chairman Man Hee Lee) has been carrying out peace activities around the globe transcending nationalities, ethnicities, and religions. During the 25 rounds of world peace tours, HWPL’s peace delegation met with former and incumbent heads of states and politicians, who signed agreements to work together for achieving world peace through international law, and with religious leaders and heads of various organizations, who also signed agreements to collaborate for peace. On 18 September 2014, HWPL hosted the World Alliance of Religions’ Peace (WARP) Summit at the Seoul Olympic Stadium, South Korea. With the eyes of the world on the event, political leaders that participated in the Summit pledged to work towards an international legal instrument on the cessation of war and achievement of peace. Ever since, the 18th of September has been referred to as an HWPL Day. Then on 14 March 2016, HWPL proclaimed the Declaration of Peace and Cessation of War (DPCW), consisting of 10 articles and 38 clauses, and the DPCW is currently under preparation to be submitted to the UN in the form of a draft resolution. These efforts are meaningful in that they are being made by a non-governmental organization for achieving peace at the global level. We believe this DPCW could serve to resolve the North Korean nuclear issue that is threatening our world. The DPCW aims to prohibit acts of aggression and stipulates that States should not produce, assist in, encourage, or induce the production of weapons of mass destruction, especially chemical, biological, and nuclear weapons, or weapons capable of causing indiscriminate or widespread and unnecessary suffering, or weapons incompatible with international humanitarian law. It also calls upon States to take measures to gradually dismantle or destroy such weapons, and to cooperate in disarmament. 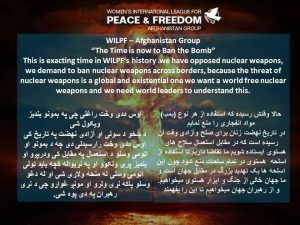 Many women and youth organizations around the globe are collecting signatures in support of the DPCW, and presidents, politicians, journalists, and religious leaders are showing their support by joining the signing campaign. Korean citizens are also participating in the campaign, but Korean politicians and religious circles are staying at arm’s length. We call on the government, politicians, the press, religious circles, and legal circles to recognize and support the DPCW, which could serve to resolve the current crisis. HWPL is continuing its endeavors to have the DPCW adopted by the UN so that ultimately, the international community would support and respect it. Also, HWPL is hosting the WARP Summit in Seoul on the 18th of September every year, with over 200,000 participants including former and current heads of states, politicians, religious leaders, journalists, legal experts, and representatives of youth and women’s groups. This year marks the 3rd annual commemoration (4th event) of the Summit. Given the global crisis posed by North Korea’s nuclear threat, we believe the Summit is being held in the right place at the right time. HWPL is realizing what everyone has yearned for – peace and cessation of war – while going beyond nationalities, religions, and ideologies. However, an organization called Christian Broadcasting System (CBS) is defaming and hindering HWPL’s peace work with rumors. Such anti-peace actions will be remembered to their disgrace. With the Korean Peninsula on the brink of war, it is time for all citizens to become one for peace. We strongly urge the Korean government, the press, legal and religious circles to actively participate in the effort to bring peace not only to the Korean Peninsula but to the world. Furthermore, we call on central and local governments, the press, and all organizations to cooperate for a successful hosting of the WARP Summit, a peace event that is more relevant than ever. These efforts will be remembered by all.